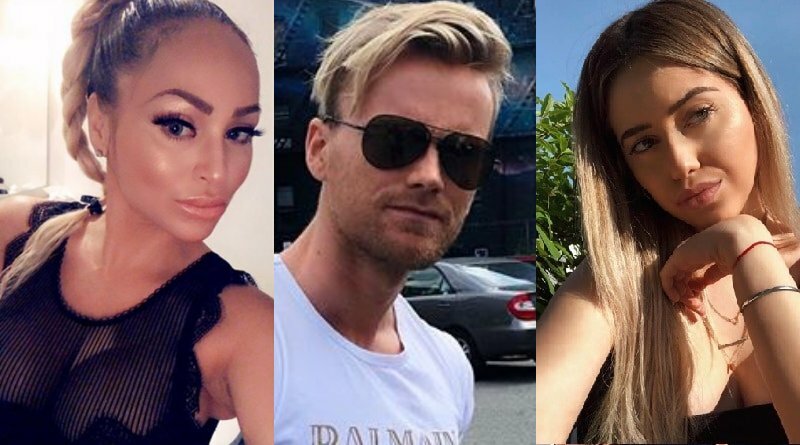 90 Day Fiance: Before the 90 Days star Jesse Meester seems to have found a new girlfriend and she looks like a younger version of his ex, Darcey Silva. Jesse, the 25-year-old TLC reality star from Amsterdam, is not holding back. He’s expressing his admiration for his rumored new girl, Alexis Ardolino. Eagle-eyed 90 Day Fiance fans were quick to spot Jesse’s flirty comments on several of Alexis’ Instagram posts, suggesting that something romantic is going on between them. The Amsterdam native, who has been very vocal about his experiences with older women, seems to have finally picked someone close to his age. 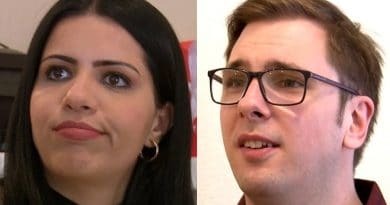 90 Day Fiance: Jesse Meester And Alexis Ardolino – Hot New Couple? Though not officially confirmed, many 90 Day Fiance followers are convinced that the former Beyond the 90 Days hunk is now in a new relationship with Alexis Ardolino. Fans believed that Jesse Meester’s flirtatious exchanges with Alexis on social media is more than enough to show that they are indeed the newest couple in town. In one of her posts, Alexis shared a racy photo of herself where Jesse Meester commented heart eyes and fire emojis. In another post, the 90 Day Fiance star used the hashtag #demcurves, referring to Alexis’ curvaceous body. Check out some of Jesse’s comments on Alexis’ Instagram posts in the slideshow below. Jesse Meester’s apparent attraction to Alexis Ardolino may not come as a surprise to many, given his history with curvy girls. In fact, the 90 Day Fiance star admitted that he likes women that are a “little fat”. While Alexis by no means fat, she is certainly curvy with a nice amount of THICCness that Jesse seems to prefer. no filter needed for this sunset😍capturing the moment for what it is 🏄🏼‍♀️⚡️best day ever. ever. ever. my heart is sooo full. Looking at Alexis’ Instagram page, it’s easy to tell that the stunning young New Yorker and college student definitely aligns to Jesse’s ideal woman. Interestingly, his ex, Darcey Silva, also possesses almost the same physique as when Jesse was dating her at the start of season one on 90 Day Fiance: Before the 90 Days. Darcey, in the first episode of season one, was not stick thin, but definitely not heavy. A lot of fans would agree that both women are pleasantly curvy. Meanwhile, fans of 90 Day Fiance were quick to notice the uncanny resemblance of Alexis Ardolino and Darcey Silva. While things are over between Jesse and Darcey, it’s still hard not to associate them with each other. It becomes even more intriguing now that he seems to have a new girl. Someone who could easily pass as Darcey’s (much younger) doppelganger. This led to speculations that he intentionally chose someone who resembles his ex to get back to her. Others were convinced that Jesse Meester is only dating Alexis for publicity, given that she looks a lot like Darcey. Then again, maybe he just has a type. Coincidence or not, things are definitely getting awkward between the trio. Recently, Jesse Meester announced that he is in New York City. 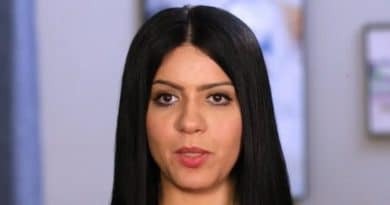 Rumor has it, the 90 Day Fiance star is in the US to see Alexis, who lives in NY. With Darcey living not too far from where Jesse and Alexis are, the situation could get more uncomfortable. Maybe the three of them might even run into each other one of these days. Talk about awkward. You can see from Jesse’s recent tweets below that he just wants to move on! I did block her. She just keeps seeking other platforms, media outlets or numbers to call me. I have the right to defend myself when she keeps on manipulating, defaming and holding on to me like this. Like what else can I do? Go to court? The 90 Day Fiance hunk and his rumored new flame look good together and share lots in common. Like her sweetie, Alexis Ardolino enjoys sharing photos and videos of herself “to help as many people as she can”. Jesse Meester is known for doing the same stuff too. In fact, the Dutch reality star always posts life-affirming messages, encouragement, and awareness to inspire people all around the world. Alexis also mentioned in one of her videos that she was “in toxic relationships in the past that ate [her] alive” – – something that Jesse can relate to. Fans of 90 Day Fiance are probably curious about Jesse Meester’s rumored girlfriend, Alexis Ardolino. Soap Dirt discovered she is an aspiring fashion designer. Alexis is a college student at NYC’s Fashion Institute of Technology. 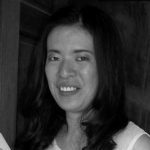 She’s very active on social media too. So far, it remains unclear how Jesse and Alexis met or if they are indeed an item. Insiders told Soap Dirt they are in a relationship and the pair chats publicly on social media. This time around, though, he might be trying to keep things on the down low. Particularly since Darcey won’t stop shading him on social media. Fans of the TLC show will have to wait and see how things unfold between this couple. For more news and updates on Jesse Meester, Darcey Silva, and 90 Day Fiance, be sure to check back with Soap Dirt regularly.